1-Wash your hands! It’s simple, takes one minute, and can protect you from germs that hand sanitizer can’t kill. 2-Get a minimum of 30 minutes of exercise 5 times per week. Getting the blood flowing re-oxygenates your body and helps boost your immune system. 3-Stay well hydrated. In the cooler weather, we forget that hydration is still important! 4-When you travel, change your clothes and take a shower after every flight to get rid of the germs you encountered en route. 5-Don’t skimp on sleep! Rest is essential for your health. 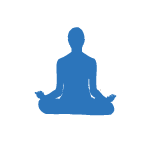 6-Mediatation, yoga, or a short walk to start your day and put your mind in the right place can significantly improve your day. 7-Cut back on sugary foods and increase your vegetable and protein intake to boost your energy and your immune system. 8-Spend time outside getting fresh air on a daily basis. 9-Avoid sitting down for long periods of time. 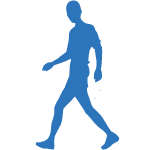 If you get up every hour to get a drink, walk around, or stretch, your body will thank you. 10-Smile, laugh, and be happy. One of the most important, but easily forgotten, components of health is happiness! There’s no denying that winter will be here soon.. and while we are all enjoying the awesome fall weather, it’s good to get prepared for the not-so-fun winter miles that are ahead. Having good cold weather gear is essential, and here are some of my favorites that allow me to run unrestricted outside all year round! This lightweight top is surprisingly warm. Layered with a wind proof shell, and you can run in sub 20 degrees comfortably with full range of arm motion. It comes in both Men’s & Women’s styles. Good tights make all the difference! These ones are lined and designed to keep our muscles warm despite winter’s efforts to thwart our ability to train outside. They come in both Men’s & Women’s tights. Cover up that thermal top with a wind proof jacket. This one comes in both Men’s & Women’s, and will hold your body heat in, the wind out, and it’s reflective for safety! A must! Tall socks are my go-to in the winter to cover up the ankles… for some reason cold ankles make the rest of my body cold too. Unisex based off shoe size. Mittens are the way to go! If it is under 20 degrees, hot hands are good to have around to keep your mittened hands warm through all your miles. You can also go through my store on the AthleteBiz website for more apparel ideas. 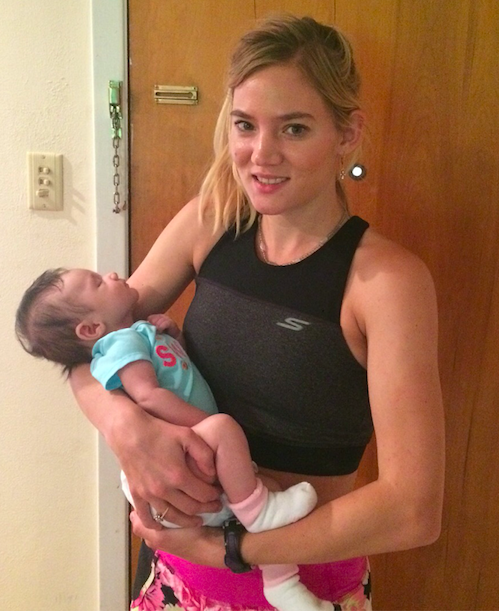 We reached out to new mom Lauren Stroud, a Texas native, who is aiming to return to marathon racing this January at the 2019 Chevron Houston Marathon. Her preparation for this race will be different than what she is used to, as she rebuilds her endurance and mileage, Lauren will utilize the adaptive Runcoach training to help take her fitness from where it is now to where she wants it to be in January. 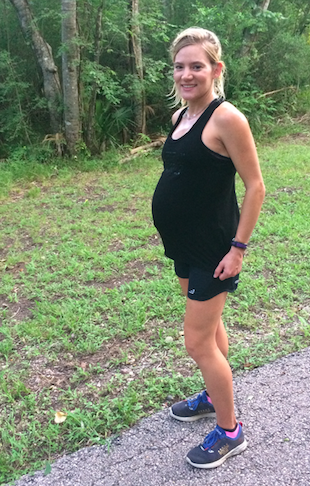 With a new baby, Lauren needed a progressive plan and a supportive coaching environment, and we at Runcoach, are thrilled to work together towards her goals. She loves to race, and has her sights set to qualify and compete in the 2020 Olympic Trials Marathon. We wish her the best in this journey. I am so excited to run my first Chevron Houston Marathon! I will have a little extra challenge this year, as I gave birth in August, and I'm learning how to manage my time wisely as a mom. My last marathon was in 2016, and while I love to race and get after shorter distances frequently, the marathon is a whole different challenge. I had never heard of Runcoach, but I absolutely love how convenient and easy the app is to use! Runcoach is an app that tailors training for you as an individual. As difficult as it is, I know I have to be patient with my body and my fitness and I believe that using Runcoach this year will help me ease into my training as I balance life as a working mom and runner. I started my transition back into training at 3 weeks post partum, and my first run back felt amazing because I missed running so much. I was fortunately able to run up until the day I delivered, but most of my last month of training before delivery consisted of run/walk intervals. 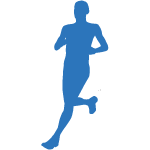 I can't wait to take my fitness to the next level with Runcoach! You may have heard it, but we will say it again: The long run is the most important run of your week. Personally, the long run is my favorite run of the week too. It doesn’t always feel good, but I am always proud of myself once it’s completed because I know fitness was gained and mental strength too. But why is the long run so important? Why does the training plan have up and down weeks with total mileage/minutes? 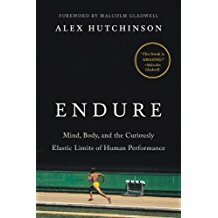 Is it really possible to finish a marathon if my long run never covers the entire distance in training? Here are our answers. First, the importance of the long run stems from the cells. Runs exceeding 60 minutes help create more capillaries within the system, the more capillaries in your body, the more efficient oxygen can be transported and delivered to your muscles. Thus, increasing your endurance level and ability to run faster and further. 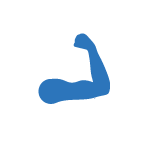 As you feel stronger, and you accomplish mileage you never thought possible, you gain confidence. You start to learn that you can push harder and longer than ever before, and that is huge for the mental game come race day. 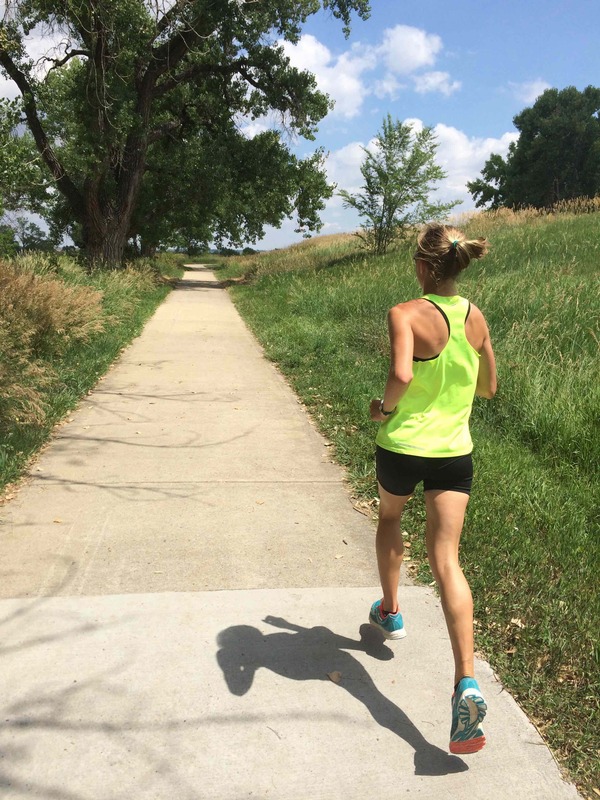 Next, the up and down weeks of mileage may look random, but we have a plan. We train you to run 2 weeks hard, 1 week easy. This cycle of training prepares the body as you work to build up fatigue, push through fatigue, and then recover. The adaptations that build fitness come when we soak up the training during the down week before increasing the mileage higher than before. For our marathon runners, these two challenging long run weeks back to back can help simulate the second half of the marathon with the accumulation of fatigue. Last, the long run is more about time on feet than actual miles covered. 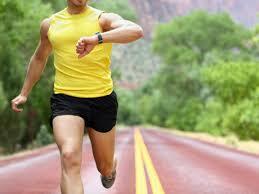 Exceeding more than 3.5 hours of running during training has been known to have diminishing returns. Meaning that running longer than 210 minutes can negatively affect your body’s ability to have quality in training and could leave you sick, overly fatigued, or injured. Depending on your pace, any run 16 miles and over will allow you to successfully finish the marathon distance. It’s important to trust the process and know that with a taper, you will feel strong and ready to conquer 26.2 miles at the peak of your training program. If you’re like me, you can’t wait for the next long run to get out the door and increase your body’s efficiency now that you know the goal of your most important run of the week. In running, the final phase of training is where you get sharp, peak, and taper. The last 1-3 weeks prior to a big race is where the emphasis is on all the fitness coming together at the right time. This part of training helps your body to mentally focus, gives you time to hydrate, fuel, and rest in preparation for your big goal. Here are some tips to maximize the final phase of training to get the most out of yourself on race day! Cut back some of the miles, but still keep some turnover workouts in the training that final week. This will keep your muscle tension in a good place so you don’t feel “flat” or heavy legged on race day. Take some time during the taper weeks to get your mind in the right place for race day. Look back at all the training you have done to prepare for your goal, and gain confidence in yourself and your fitness. Start an emphasis on hydration during your taper. This will help your body perform on race day! It is important to not over eat during the taper phase. 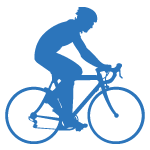 However, be certain to get in good nutrients the few days leading into the race. You want to have all your energy stores filled and ready to carry you to a strong finish. Focus on sleep, propping the feet up, and encouraging your muscles to repair and freshen up prior to race day. When you put all these tips together, it can bring you more confidence knowing you are trained, mentally prepared, hydrated, fueled, and rested… the key components to taking your goals from a dream to reality. Are you heading to the beach for a final summer vacation? Or maybe you just want to spend some time relaxing by the pool, or lounging in the AC. No matter your intentions, if you want some quality reading, look no further. Insight into the commonalities of success. 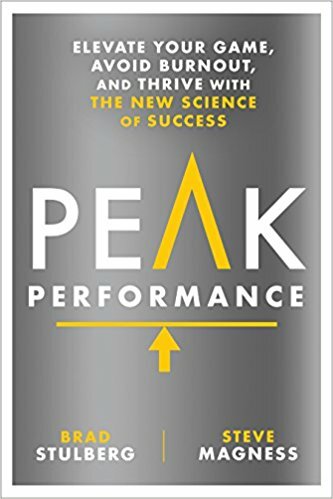 From athletes, to CEO's, to musicians, what drives performance? 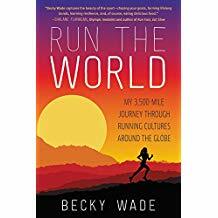 The story of pro marathoner Becky Wade when she traveled the world to explore what it's like to live and train in other cultures and landscapes. 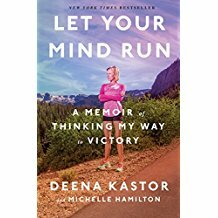 The American record holder for the Marathon, Deena Kastor, shares the story of how she achieved great things once she trained her mind to stay positive. Learning to endure is a key trait to success. Using the mind to push a little further and a little faster. 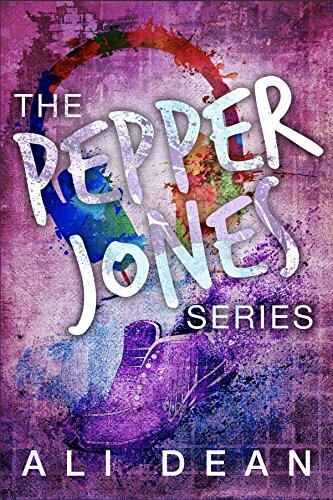 Sports fiction author and runner Ali Dean brings a high school runner girl to life in this easy-to-read story about the highs and lows of success in sports at a young age. 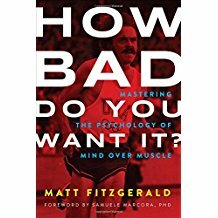 Mind over muscle is the mantra in this book as you learn to push your limits further than you thought possible. 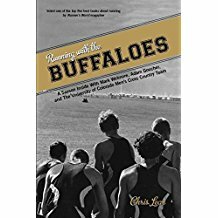 The true story of the 1998 men's cross-country team at the University of Colorado and their relentless focus for an NCAA victory. 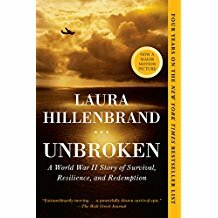 A talented runner forced to forego his Olympic dreams when drafted for WW2. 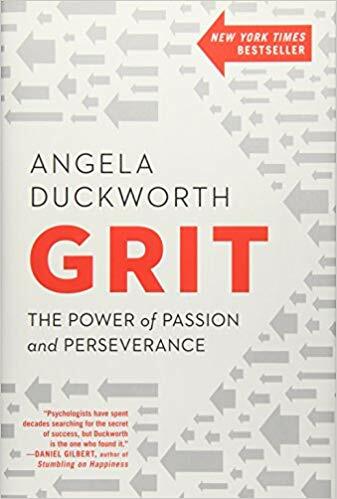 Insight into the combination of passion+perseverance=grit and grit is one of the key ingredients to success. 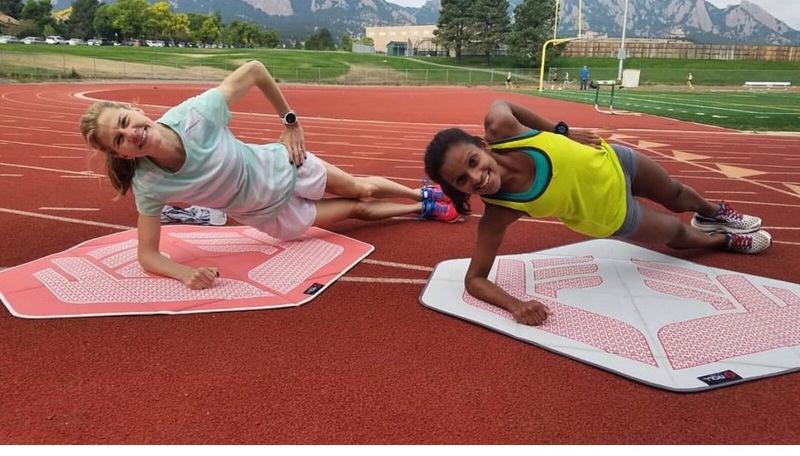 Jack Daniels, an exercise physiologist who inspired some of the Runcoach ideals, said "The stronger your core, the more solid you are as you hit the ground, this reduces the need for unnecessary stabilization, and allows you to be a more economical runner." What are you waiting for? It's ABsolutely time to get to work. Here are some videos to help you get started. Works the internal and external obliques to build better core stability. Core is more than just your abs. One of the most common weaknesses we see in runners is their glutes which are the key powerhouse for propulsion with every step you take while running. Works your arms, upper body, and core. Can be done on your knees to start, and then as you build up strength, you will be able to do a full push-up! Try to include core into your weekly routine and watch your form and strength increase! 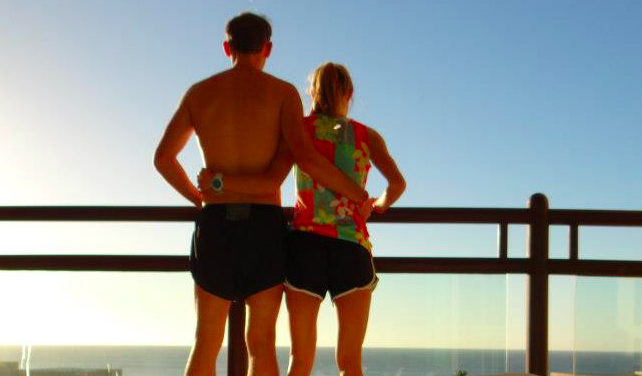 Six years ago, my husband and I went to Cabo for our Honeymoon. Contact local running stores or clubs in the area you will visit. Inquire about the best running locations and open group runs. There is simply no better way to experience the best local running routes than from the experts themselves. Rearrange your training schedule for a lighter week. If more convenient, replace your easy runs with cross training activities. If you get aerobic stimulus with other activities for a week, and still prioritize your workouts and long run, you won’t lose fitness. Don't wait until the end of the day to run, especially while on vacation. Get up early and make that run happen so you can move on and enjoy the day without the weight of a run assignment on your shoulders. Decide on the places you want to explore, check them out on foot, and then return the next morning to enjoy them if certain spots peak your interest. The Google Maps earth view is also an excellent way to identify fun routes and you can cover so much more ground running than walking! Choose to plan a vacation the week after your goal race. Then there is no running necessary (unless you want to of course), and you can relax and enjoy the trip fully without the stress of a schedule. Happy travels, and happy training! Bust these 5 Running Myths Today!